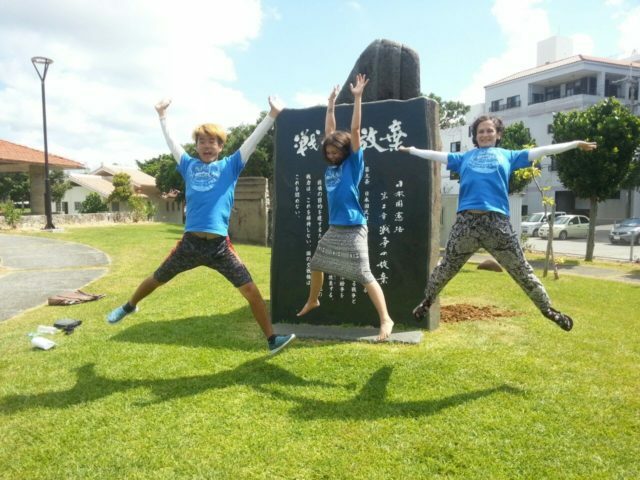 This year the 2017 Peace for the Sea Camp was held in Ishigaki Island of Japan, the theme was “Let’s Join Our Hands Together” August 16-20. 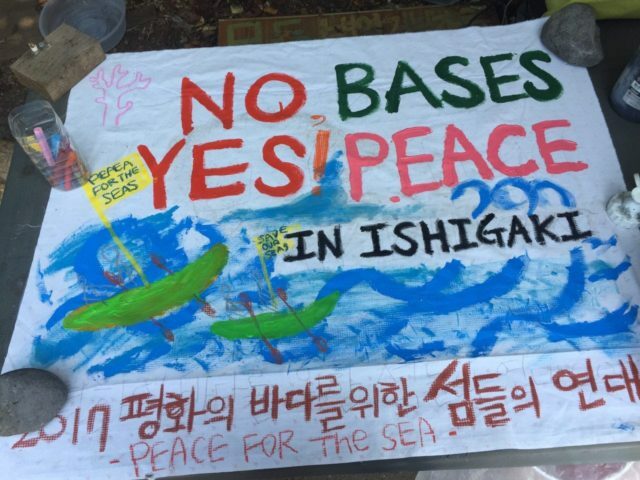 12 members from Korea, including Gangjeong Peace Keepers, joined over 70 other participants from Ishigaki Isl, Yonaguni Isl, Miyako Isl, Okinawa Main Isl, Japan, Taiwan, Hongkong, US, Poland, and Germany. 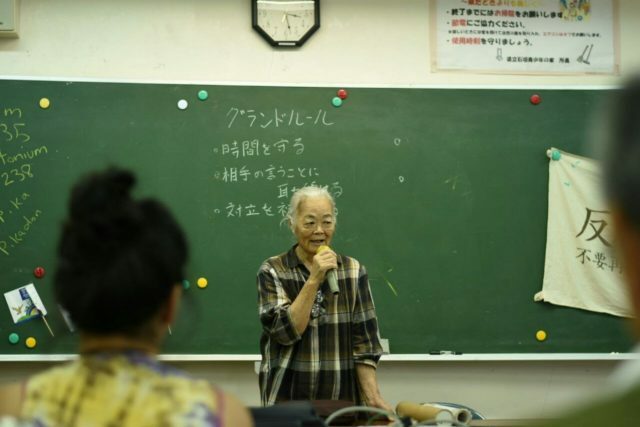 We had the opportunity to listen to stories from many of these different areas about their struggle against military and government power and their work for peace, as well as the history of Ishigaki during the Okinawa War. 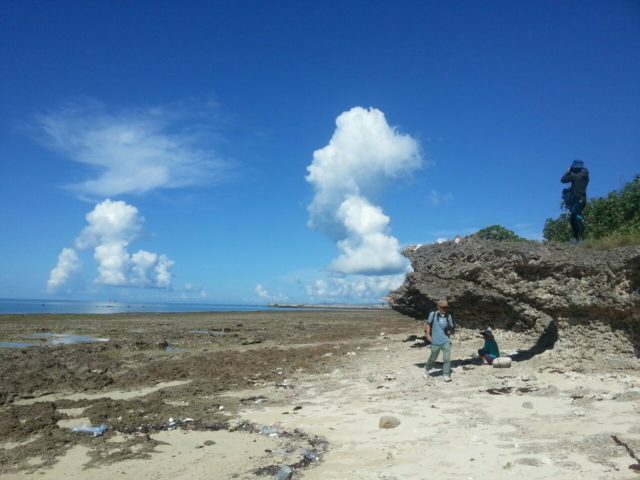 Ishigaki is a small island located south of the Okinawa main island, as part of Okinawa Prefecture and has a long history of Japanese and American forces in the island. 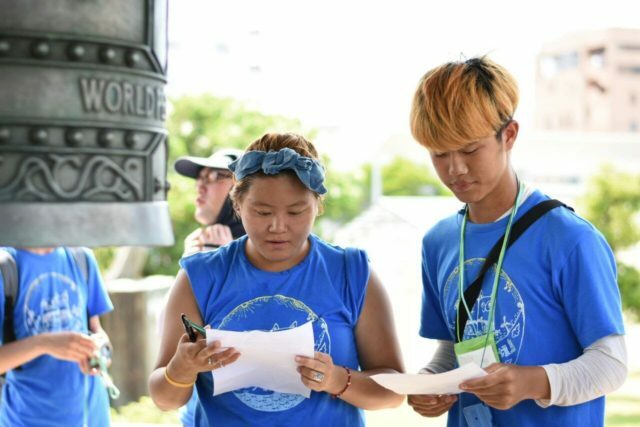 On August 17th, the first full day of camp we had a full day of Peace Symposium where we had the opportunity to listen and learn about the different peace work from different camp participants. 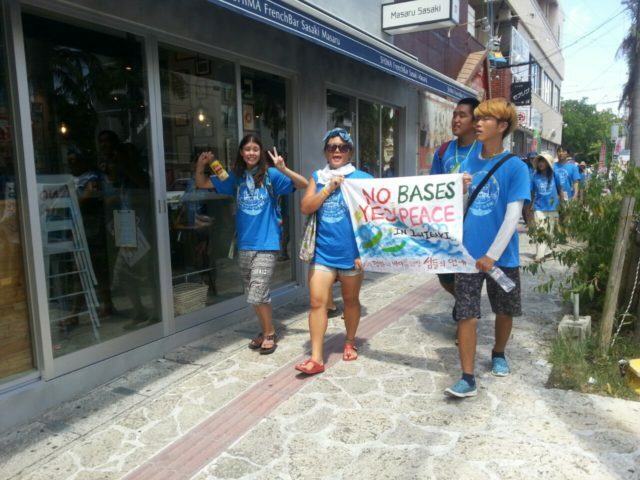 In Ishigaki we learned that the Japanese government wants to deploy Self Defene Forces on the Island. 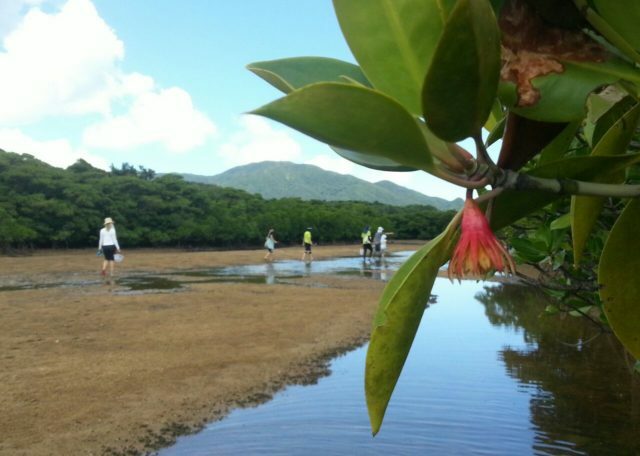 The residents are concerned that this could make their small island a target for war. The government says that bringing in the Self Defense Forces is to increase national security, but the residents are fighting against that. Similarly in Yonaguni, the island is fighting against a radar tower that poses health and environmental damage. 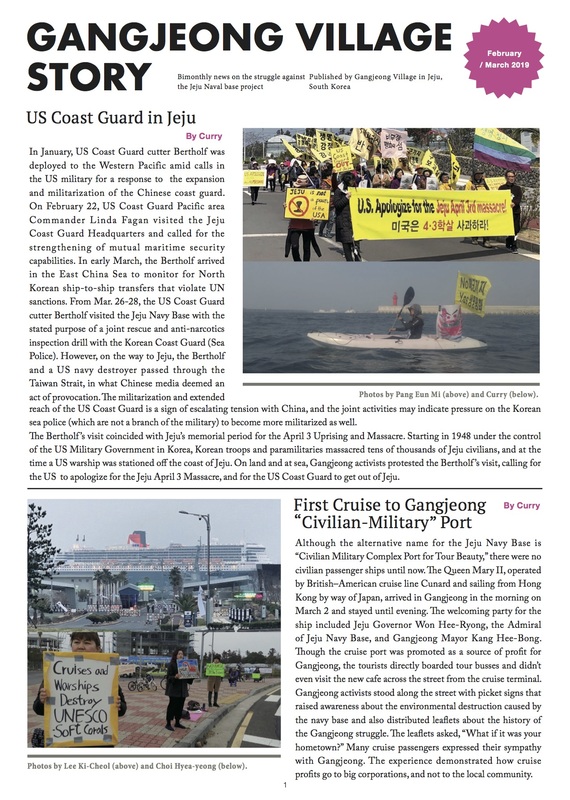 And then in Taiwain, they started the No Nuke Movememt in 2013 and had a protest that gathered 20,000 people to fight against the nuclear power plant. 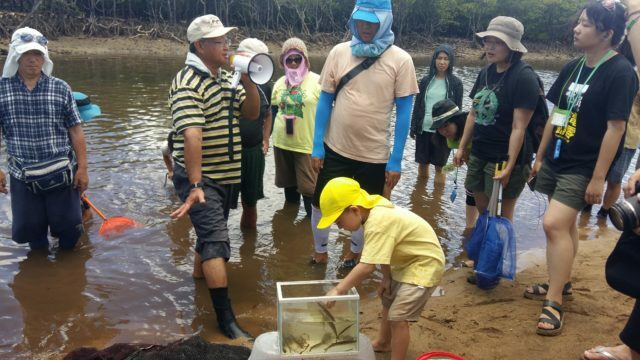 In Tawain the residents are concerned with where the government is going to store the nuclear waste. Even though all these stories are in different communities they are similar. it is small local groups uniting together to lift their voices against the big government and military power. 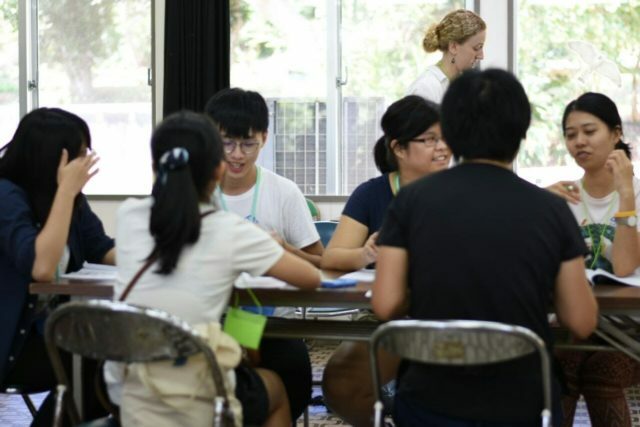 At peace camp, our hope is to connect with each other through our shared experiences in order to offer support and continue our vision for peace. 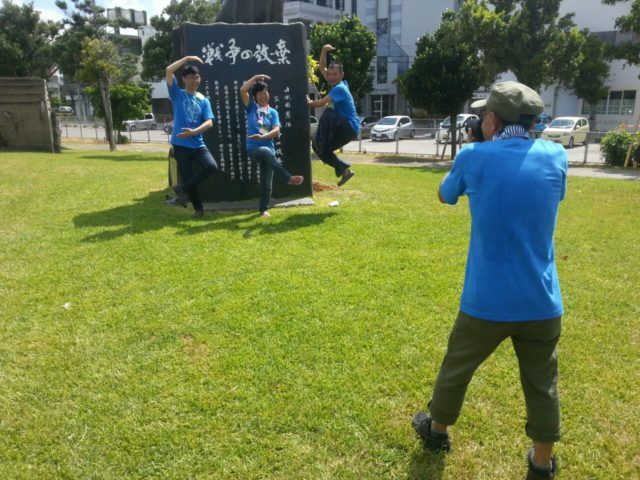 August 18 started with field trips to different war memorial sites in Ishigaki. 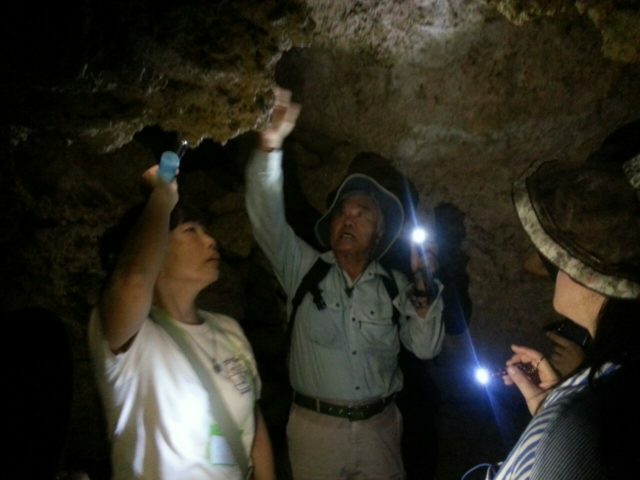 We saw caves where people were forced to hid during the war and the malaria memorial for victims who died of malaria in the mountains and jungle. 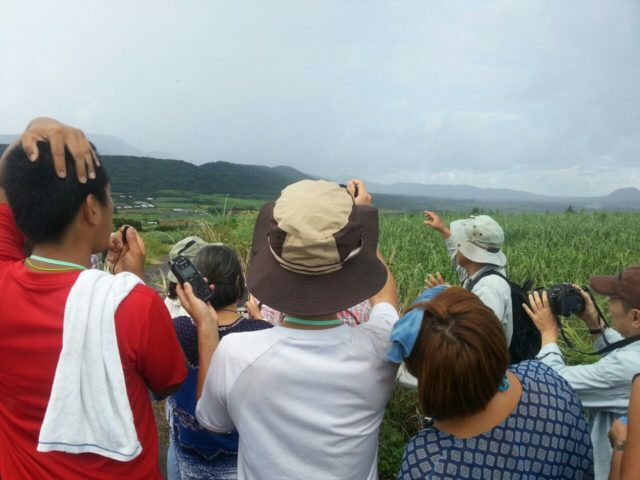 In the afternoon we heard stories from two individuals who grew up in Ishigaki during and after the war. 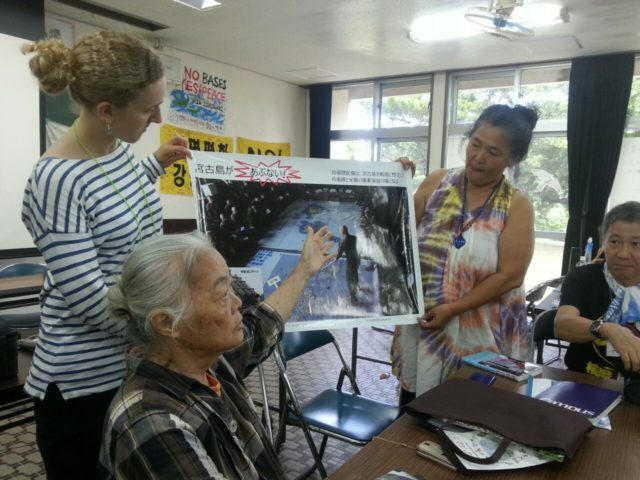 As older adults in Ishigaki, they are against construction of new bases and Self Defense Forces because of the experiences they had. They don’t want those experiences to be repeated again. Listening to these stories gives the power to remember that the past is still active and alive. As peace makers we can use these stories to educate others and keep war from repeating. 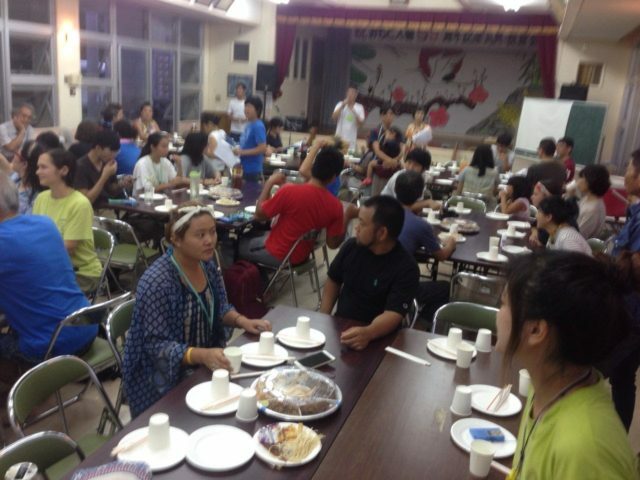 That evening is the last night of peace camp and we had a big party outside. Our hosts worked so hard to invite a traditional dance group. 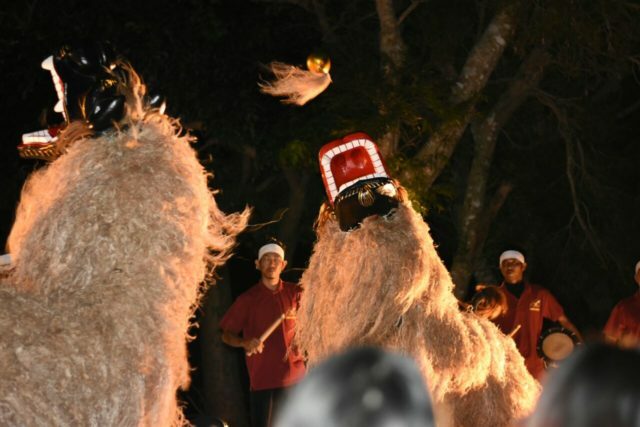 We watched a performance of ‘Shi-Shi Mi’ a mythical traditional lion that come into the village to ward off bad spirits. Everyone enjoyed the show and the delicious food. It was a fun way to end a long week. The next morning we had our final celebration downtown at the World Bell Peace Memorial next two the Article 9 statue. Article 9 is a section of the Japanese constitution that renounces war as a means to settle disputes. For the final celebration each country group read a closing statement that expressed our collective desire to have a sea of peace and no war. We were asked to bring a small stone from our home towns, during the ceremony we took these stones and buried them under the Article 9 statue. This symbolized our unity from different countries coming together to reject war and create a new vision for our communities. We said goodbye to our many friends with the hope that we all had the opportunity to grow and learn from our week together. 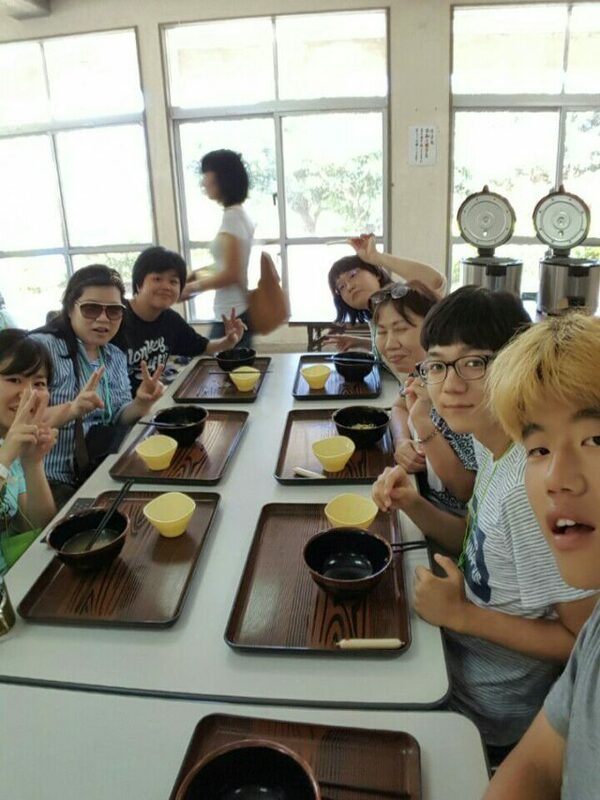 United in our desire in peace we will continue our work back home and see each other again for the next peace camp.